Carry your paintball pistol in style! 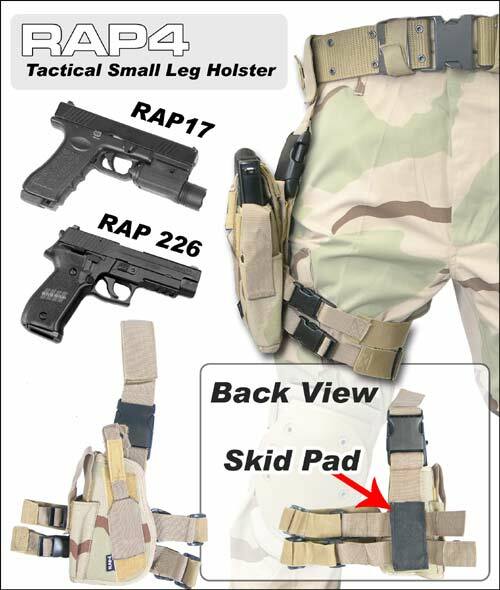 The U.S. SWAT Tactical Leg Holster is designed to fit all .43 cal paintball pistols and small arms such as the P99, P226, RAM X50, Combat Pistol, Glock, Berretta and Sig Sauer. 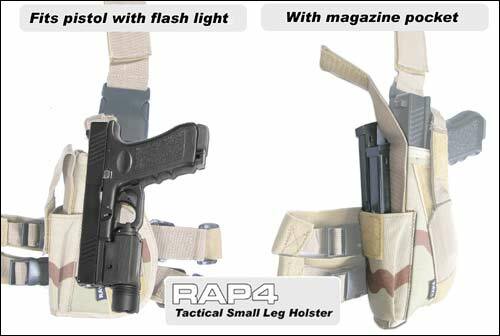 This holster is able to house any pistol with flashlight or laser sight attachments. Magazine pouch strap length is adjustable and will able to hold all types of magazines.